As part of the launch event for Ride (Birmingham – York) on Saturday the 14th of September, I will be cycling between Cannon Hill Park and the Bournville College campus at Longbridge. As I cycle I will be collecting data and sending it to a sculpture in Bournville College. This data will then be ‘played back’ by the sculpture during the main launch event. All are welcome – we’ll go at the pace of the slowest rider and there will be people making sure no-one gets left behind. Meet near the bandstand in Cannon Hill Park for 9:30am. Click on the image above to view on Open Street Map. There will be Park Run happening at the same time, so please ensure you give yourself plenty of time and please be mindful of the other people using the park. You must be riding a road-worthy cycle in order to join the ride, as well as taking responsibility for the safety of yourself and others around you (through considerate behaviour and following the rules of the road). BikeRight! 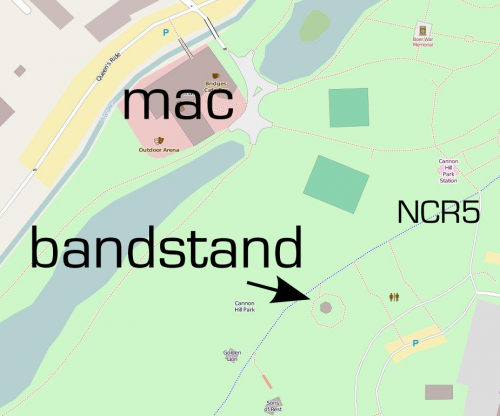 staff will be near the bandstand from 9am in order to give your bike a quick safety check in case there is anything you are unsure about. If you do not have access to a roadworthy machine, BikeRight! have a limited number of bikes they can lend people for the ride. If you would like to borrow one of these, it must be agreed in advance – send an email to info2@bikeright.co.uk with ‘Nikki Pugh Led Ride’ in the subject. Please make sure you have a lock to secure your cycle whilst you are inside the college. 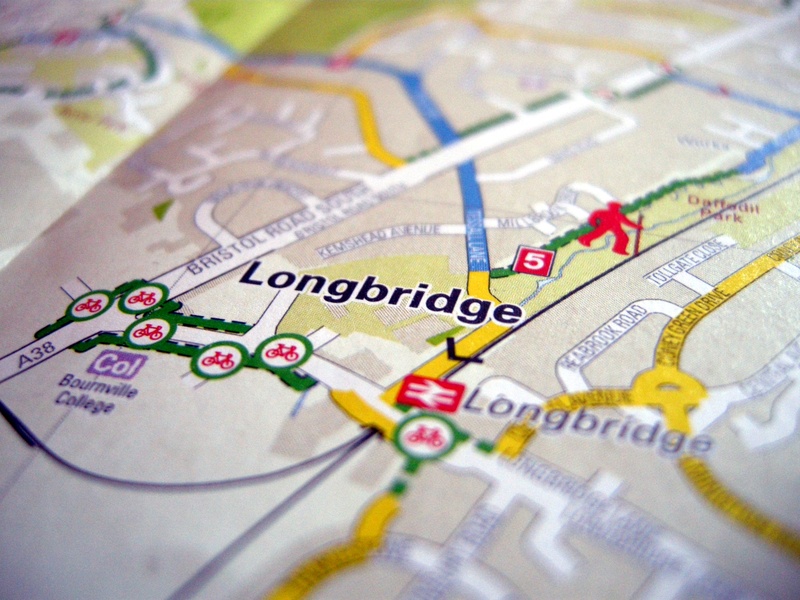 There will not be an organised ride back from the event at Longbridge, so please make your own plans for returning home (especially important if you have borrowed a bike to get there!). There is a train station very close to the college or you can re-trace the route back to Cannon Hill Park. There is free car-parking at Cannon Hill Park, or it is on National Cycle Route number 5 if you are cycling over from the city centre. We will follow National Cycle Route 5 along the River Rea to Stirchley and then through Kings Norton and Northfield. The route is about 7 miles long and mostly off-road on shared paths. There is also a short section along a canal towpath. The surface is not always great, and may not be suitable for road bikes with skinny tyres. A gpx file of the route is available for download here, or you can view it on BikeHike here. Let me know if you have any queries and I’ll do my best to answer them. In short though, it’ll be a relaxed ride along a quiet route that all are welcome to take part in. If you’d rather not take part in the ride that’s fine – we’ll see you at Bournville College and you’ll still be allowed some cake!